Over the last 50 years, 6.3 billion tons of plastic waste have been generated, of which 4.9 billion tons have been accumulated in landfill sites or in the general environment. FECYT launches a crowdfunding campaign to finance this project, which aims to measure the degradability of polymers in different terrestrial and marine ecosystems. 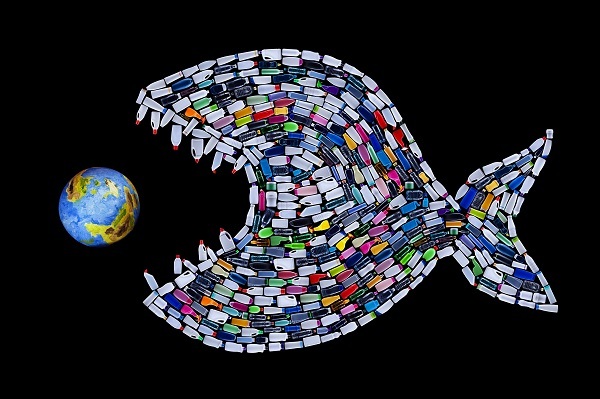 Over the last 50 years, 6.3 billion tons of plastic waste have been generated, of which 4.9 billion tons have been accumulated in landfill sites or in the general environment. The figure is expected to reach 12,000 million tonnes in 2050. The negative effect of plastics is associated with their persistence, i.e. how long they remain in the environment. In order to measure degradability of polymers, a multidisciplinary group made up of chemists, biologists and ecologists from the University of Alicante has launched a crowdfunding campaign for a project on whether bio-plastics cause less pollution”. The fundraising campaign is one of the five currently in force at the Precipita platform run by Spanish Foundation for Science and Technology (FECYT). Pollution by plastics is a major environmental challenge due to its high production, poor waste management and low degradability. Consequently, materials such as bio-plastics are being developed, which are polymers that come partially or totally from renewable sources such as plants, unlike conventional polymers that come from petroleum. Although all bio-plastics are assumed to be biodegradable, their degradability can vary greatly depending on the type and conditions of the environment in which they are degraded. However, most of the standards and norms used to assess degradation do not take this diversity of environmental conditions into consideration. The project will help society be better informed by knowing which types of plastics and bio-plastics have greater degradability and, therefore, less persistence in the environment, as explained by Carlos Sanz Lázaro, one of the leading researchers. He also added that the regulations on the use of different types of plastic will be improved through further measures with a more realistic approach to degradability in the environment. In short, according to Sanz Lázaro, the goal is to measure degradation of different types of plastics and bio-plastics under realistic conditions so as to establish their persistence in the environment. In this sense, a protocol will be developed to measure the degradability of these polymers under controlled conditions reproducing different terrestrial and marine ecosystems. With these data, we will be able to establish which polymers will have less persistence in the environment in order to establish environmental policies on their use and manufacture, University of Alicante researcher concluded. The project has a young yet growing and experienced multidisciplinary research team of experts in assessing human impact on the environment to help solve problems such as pollution or climate change. They collaborate with different universities and research centres in different countries such as the Anglia Ruskin University in the United Kingdom and the University of Southern Denmark. In particular, the research group Bioplastic Lab is made up of scientists of the University of Alicante Ramón Margalef Institute for Environmental Research (IMEM): Carlos Sanz Lázaro and Santiago Soliveres, from the Department of Ecology; Ana Beltrán from the Department of Analytical Chemistry; and Nuria Casado, from the Department of Marine Sciences and Applied Biology. 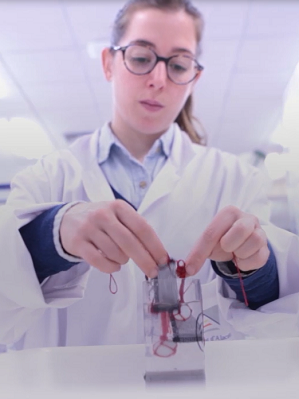 In addition, students Laura Tovar, Susana Carrión and Lázaro Ruiz, from the undergraduate degree in Biology; Rocío Huguet and María Paz Gallego, in Marine Sciences; and Chemistry student Lorena Simó participate in the project. You can contribute to the project “¿Contaminan menos los bioplásticos?” with as little as €5. Depending on the contribution made, the benefactor will receive compensation ranging from a thank-you letter from the project team, a bio-pencil, a guided tour of the project's laboratories at the University of Alicante, an invitation to a lecture on bio-plastics, and a mention with name and surname in the acknowledgement section of the articles published that derived from the project. With minimum funding of €1,500, the researchers will be able to carry out a pilot experiment in reduced environmental conditions and with a very small number of plastics to obtain preliminary results. If the optimal figure of €25,000 is reached for almost two years, a comprehensive assessment of the degradability of plastics and bio-plastics will be carried out. On the other hand, if this figure is exceeded, the research team will be able to carry out a more ambitious study with a greater number of types of bio-plastics and environmental conditions — emulating those expected with climate change — and include an analysis of the incorporation of these plastics into natural ecosystems, Carlos Sanz reported. Further information on this project can be found at Spanish Foundation for Science and Technology (FECYT) website Precipita and the project social networks on Facebook, Instagram, Twitter and LinkedIn. 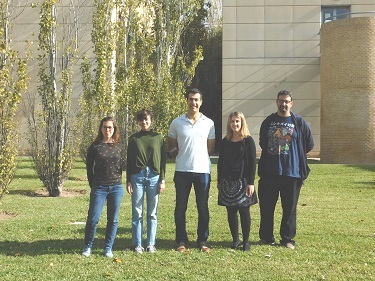 Images: Project infographics; part of the Bioplastic Lab research group (from left to right: Nuria Casado, Laura Tovar, Carlos Sanz, Ana Beltrán and Santiago Soliveres); and laboratory tests.